Does “fresh-not-frozen” meat actually make a fast-food sandwich taste better, or is this all marketing hype? Our reassessment of McDonald’s Quarter Pounder With Cheese indicates that yes, yes it does: “The fresh beef patty seemed to retain more moisture, with a creamier texture than the meat strands-like interior of its frozen patty burgers.” After upgrading all its Quarter Pounders and some other burgers to fresh beef last spring, McDonald’s is now testing fresh-not-frozen chicken in 160 locations. 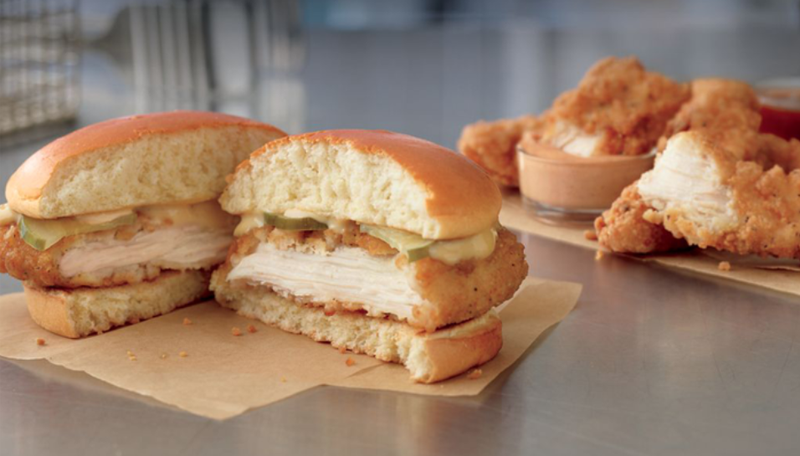 According to a release, the fresh chicken comes in the form of both sandwiches and tenders: the new Ultimate Chicken Sandwich (made with a chicken breast fillet with Sweet Dijon Sauce and pickles) and Ultimate Chicken Tenders. Unless you live in western Washington state, though, you can’t rush out to taste the difference yet. McDonald’s says it’s only testing the fresh chicken in 160 locations across the Evergreen State, for now. If it follows the same pattern as the fresh beef rollout, the fresh chicken would debut in select markets before widening its footprint and eventually landing in McDonald’s nationwide—well, in the contiguous U.S.—a few months later. It’s just the latest menu upgrade from McDonald’s, which has this year been on a tear when it comes to better ingredients—the removal of artificial preservatives and flavors; the fresh beef in certain burgers; and the promise to serve cage-free eggs by 2025. So, which will come first from McD’s: the fresh chicken or the eggs?